With just one scroll through Instagram it’s clear to see that the tides are changing in the world of wedding trends. 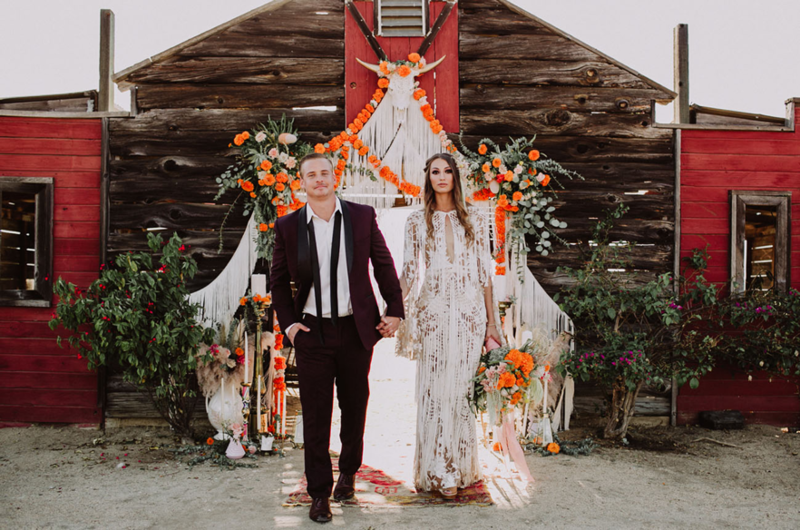 The muted tones and dreamy neutrals of the past several wedding seasons are starting to be noticeably broken up by bright, bold tones. In fact, all you have to do is take a look at the ultimate trend setter when it comes to color trends, Pantone, with their 2018 color of the year – Ultra Violet. 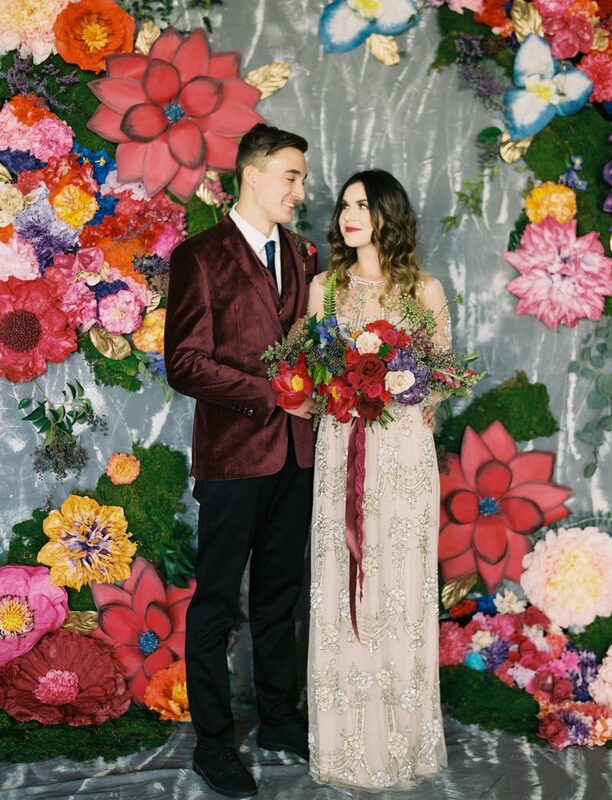 Wedding coordinators and newly engaged couples alike will all be asking themselves, after years of pastels, how do we transition back to bold? Rest assured, pastels, neutrals, and pale hues are still holding their own in the wedding world. In 2018 though, rather than working solely within that range, the muted tones are much more frequently being paired with beautifully rich and vibrant colors. As with any trend there are a million and one ways you can go about working it into your wedding or social event. It turns out that transitioning into this trend is quite easy since bolds are the perfect counterpart to the greenery, natural elements, and pale palettes we’ve grown to love. We’ve grabbed a few of our favorite photos of the bold new looks in action to provide a little inspiration. Dip your toes in – go heavy on the greenery and neutrals with one big, bold color pop. This is the tamest, easiest way to work some bold into your big day. Come on in, the water’s fine – Trying out an ombre table linen with bright accents is the best of both worlds – white classic looking linen on top, bright on bottom. 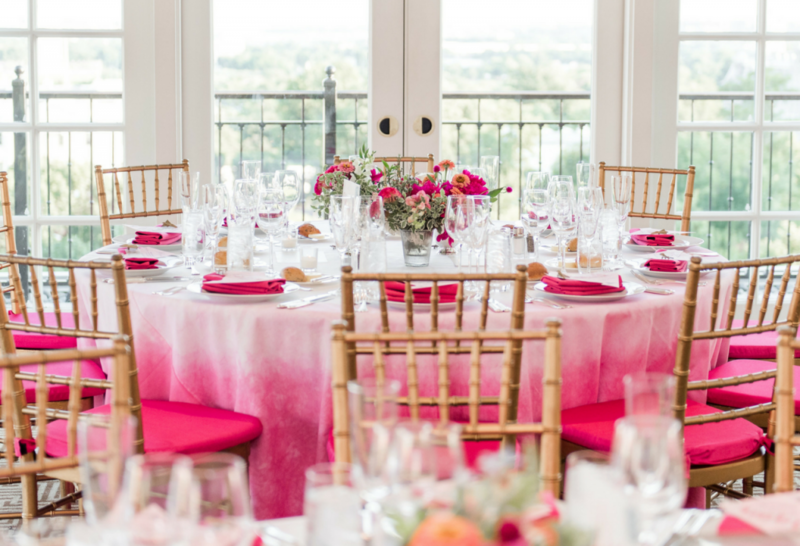 Top the tables with bright colored florals and napkins, and traditional chivalry chairs to mix and match the bright and natural. Dive head first into the deep end – Why pick one color when you can have them all? This is the boldest, brightest option, especially when paired with equally bold patterns. This one is for the #trendybride. To avoid getting too over the top, these looks will be best paired with a classic neutral linen or a natural surface like a wood table. 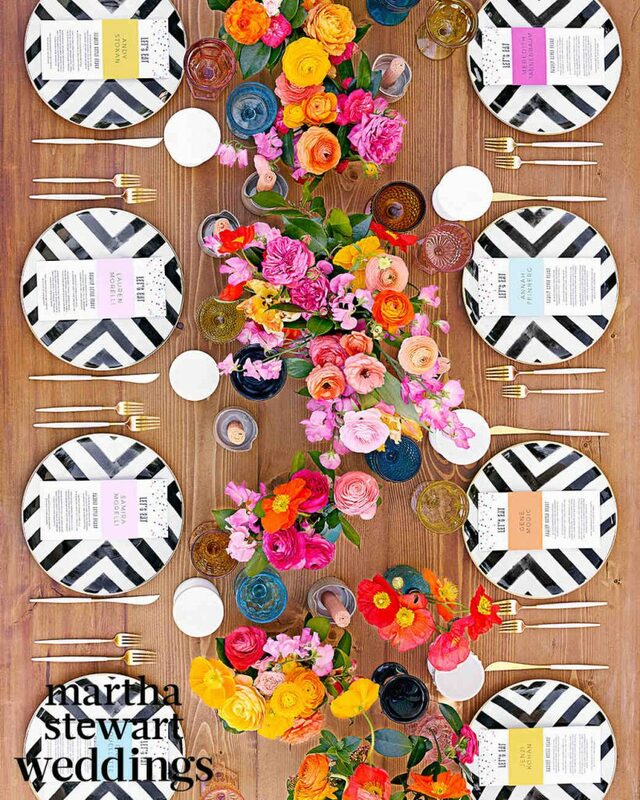 We’re still a big fan of the dreamy neutral and pastel color palettes, but this new look is certainly growing on us.